Guangzhou Friendship Store - shop in Central City East, is recognized by the Ministry of Commerce, "King's department store." 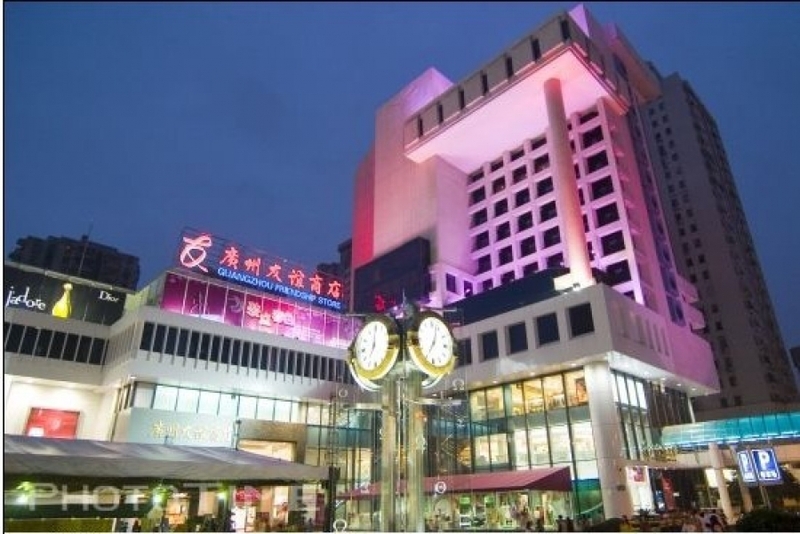 The most high-end brand shops located in Guangzhou's central business district shopping and leisure - Central City East, Central Business District, adjacent to the Garden Hotel, Asia International Hotel, Baiyun Hotel and La Plaza and strategic location, convenient transportation, with over 300 parking spaces . Central City East store has been adhering to the "differences in location, best quality, reflecting the value of the" business philosophy, to build a comprehensive high-level department stores, mainly engaged in international first and second tier brands and the leading fashion department store boutique, high-end products and the advantages brand, highlighting fashion, personality, brand and internationalization, attracting a number of the world's luxury brand presence, elegant and comfortable for the store shopping environment to add a bright highlight; there is nearly a hundred world-renowned jewelry, watches, cosmetics, clothing, etc. highlight the taste of fine luxury goods portfolio, a city in southern China as well as a focal point of international fashion boutique. In services, the Central City East shops adhering to the "Friends-style reception, expert-service" concept for the service, reception of foreign affairs has always been at ease in consumer spending and choice; years of unremitting innovation and service initiatives, to provide customers with value-added services to various types of VIP , personalized service, customer service manager, and "the whole program, one-stop" shopping guide is focused on providing customers a full range of personalized service. Convergence century classic, rally the Central City East luxury boutique shop, consistently with the top brands and quality, comfortable shopping environment, enthusiastic attitude, for the pursuit of quality of life, emphasis on fashion sense, pay attention to consumer groups distinguished taste to provide the most exclusive shopping experience, the best quality of life solutions.